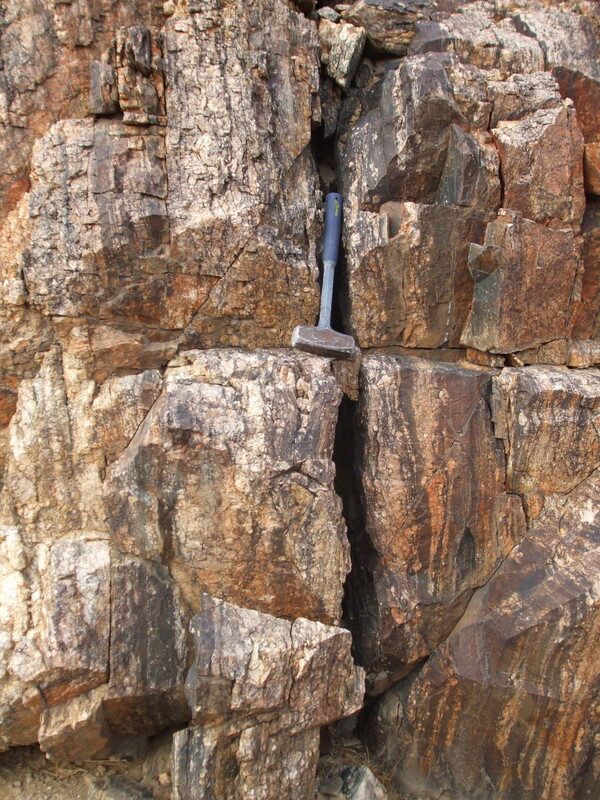 This is an awesome ductile shear zone in Proterozoic orthogneiss of the Mojave block. The augens are quite spectacular, although shear-sense indicators are ambiguous. 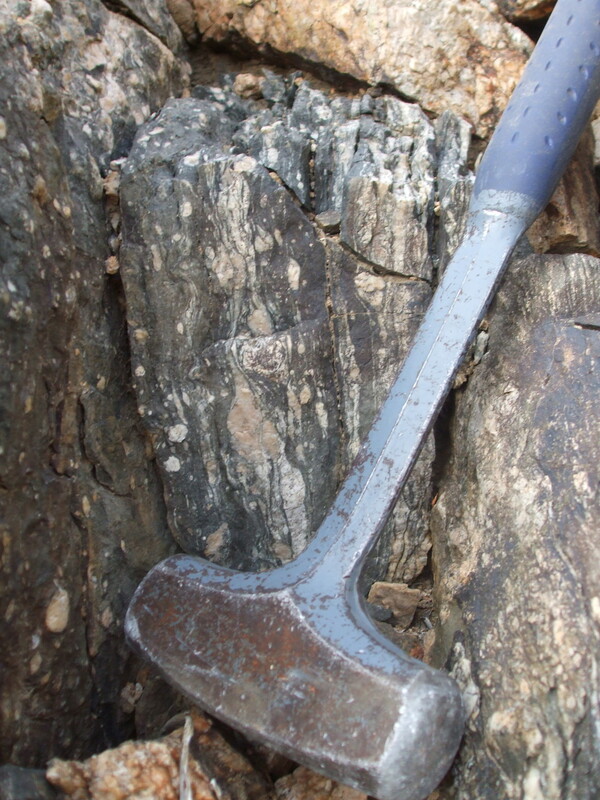 Such textures form in the mid to lower crust, where rocks deform in a ductile manner instead of in a brittle manner. This generally happens below about 15 km depth. The rock is extremely hard, so bring a hefty sledge! We stumbled upon this one. As far as I know, it hasn't been mapped or documented.